The ribbons have been meticulously sewn onto sturdy 100% nylon webbing. All hardware and buckles are of the best quality. 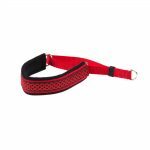 These designer collars are box stitched, not just triple stitched, for extra strength. 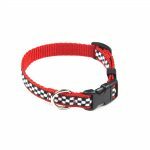 Stock collars are pre-made and fit certain sizes, see below. 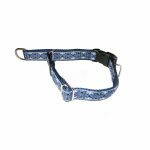 If you need a larger or smaller collar than is shown, or a different style then please go to the Custom Collars.This may be machine washed and hang dried. 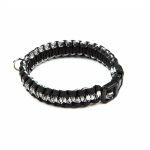 There are no standard sizes for dog collars. 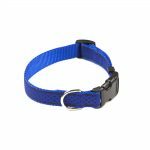 To ensure a proper fit for your dog, please use our Dog Collar Size Video.